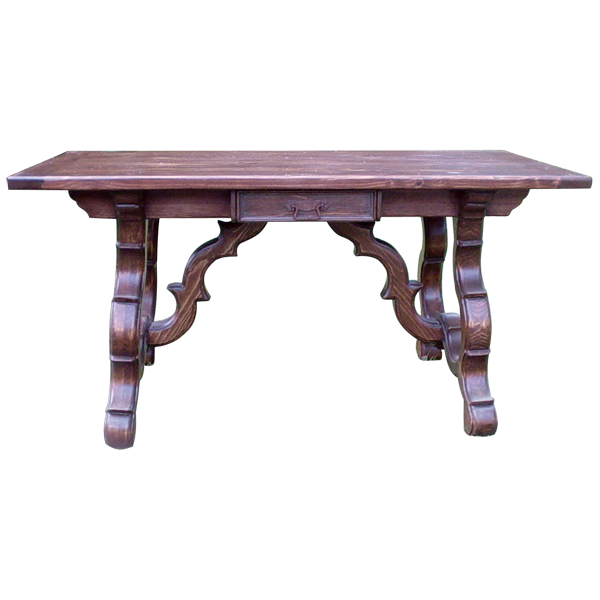 With its opulent, dark finish and hand forged, iron details, this Spanish colonial style desk will complement your existing Western décor. The top of the desk is impressive and it is made with robust, solid timber. Each corner of the open, rectangular top has an inlaid, hand forged, iron design, and the sides of the classic, straight rim are adorned with a hand carved, twist rope design. 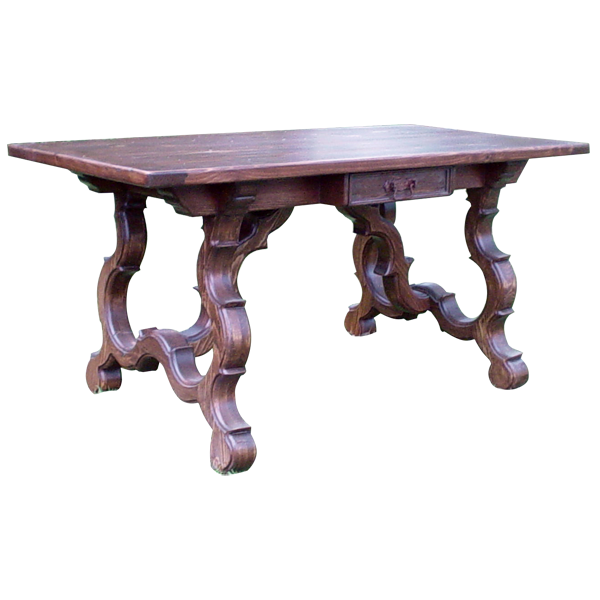 The top rest on two sturdy, solid wood, hand turned pedestals, and each pedestal has four, hand carved, curved feet. The desk is made with the best, sustainable, solid wood available, and it is 100% customizable.